Looking for dog-friendly Halloween adventures? We have compiled the best dog-friendly Halloween activities and events in Seattle. So grab a costume (my go to is “Fairy Dog Mother“), don’t forget Fido’s (check out this post featuring DIY pet costumes for inspiration) and get in the Halloween Spirit! Before all the Halloween treats, treats, and more treats, get out and run with your pup at the dog-friendly Run Scared 5k on Sunday 10/26 in Seattle’s Seward Park. The race concludes with a costume contest including best dog costume. For all the details, go here. These Halloween parties are all about the pups. You are just there for leash holding and poop scooping. Expect much fawning over dog costumes, dog costume contests, doggie treat bags, and other Halloween-related doggy indulgences. Maybe your dog doesn’t have to be the center of attention all the time. Enjoy these dog-friendly events that are more about you (and brew) than your four-legged friend. But don’t worry: these Halloween events are at *very* dog-friendly establishments, so you will feel comfortable if you bring your pup along too! Picking out a pumpkin or exploring a corn maze with your pup is a memorable Halloween adventure. 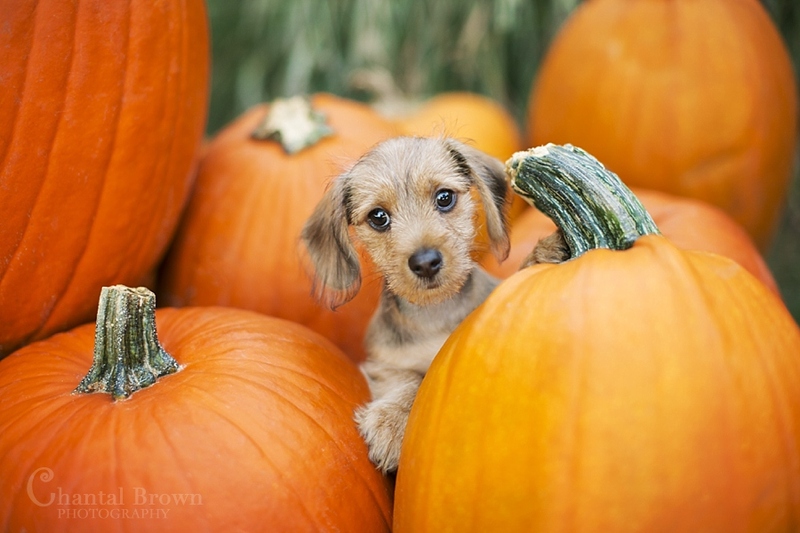 Don’t forget your camera: puppies in pumpkin patches are stinking adorable! We know some people feel goofy dressing up or putting a costume on your dog, but Halloween is only once a year! So, even if you skip the costume, get out there and do something fun in the Halloween spirit. If you think we omitted something too good to miss, please do let us know!